Situated on LARGE CORNER LOT, this exquisite home in exemplary condition is LOADED w/ custom luxury detail thru-out including soaring & decorative COFFERED ceilings, crown moulding, wainscoting, elegant fixtures, hardwood & ceramic tile floors, granite, custom cabinetry, tile backsplash, stainless steel appliances, CAT 5e internet wiring & more. 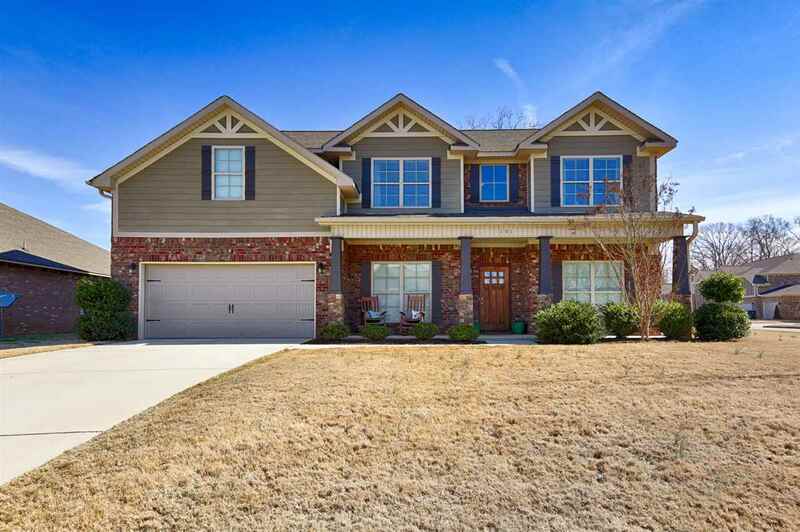 Feat: a dramatic 2 story entryway w/ OPEN FLOOR PLAN, formal dining, office or formal living, gourmet kitchen w/ 8x4 island, isolated bedroom on main level, LOFT overlooking main level, BONUS room, & laundry on 2nd level w/ other bedrooms. French door leads to extended covered patio w/ CUSTOM OUTDOOR FIREPLACE overlooking HUGE Privacy fenced b-yard!